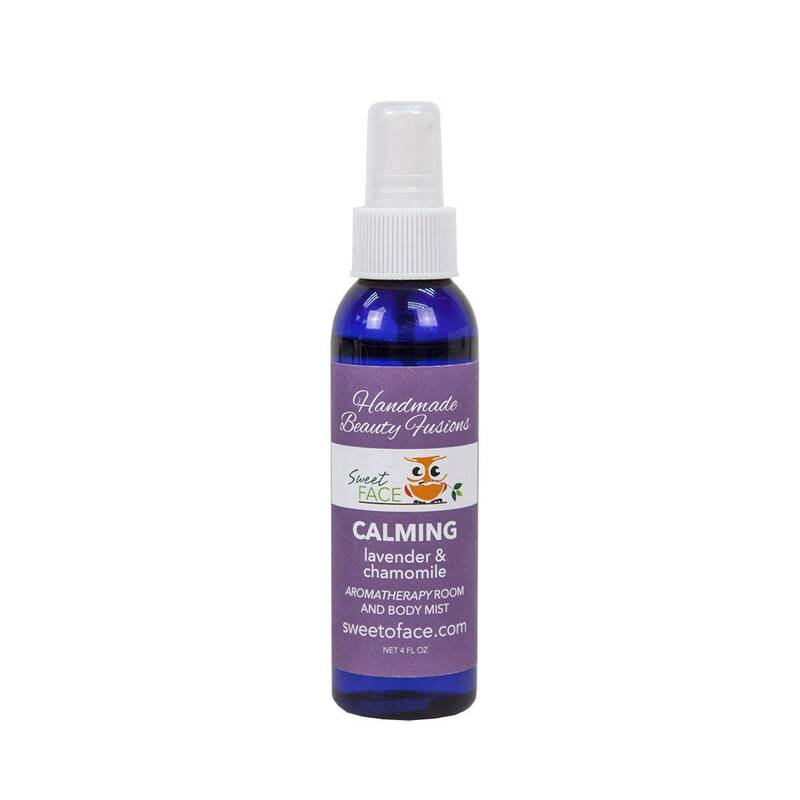 Calming Lavender Chamomile Toner & Body Aromatherapy Mist 4oz. 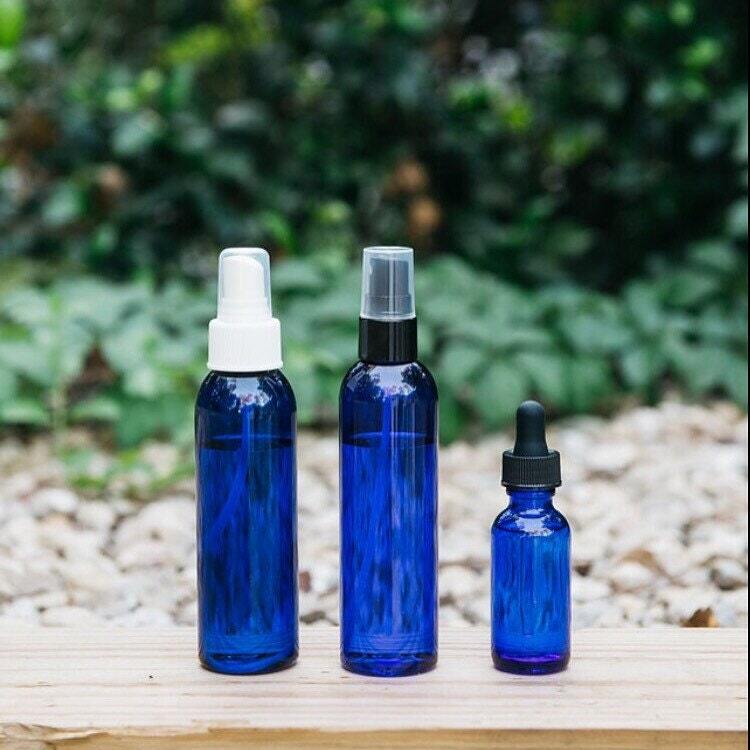 Our aromatherapy mist contains pure essential oils and hydrosol water to enliven the atmosphere of any room, refresh and balance your skin. 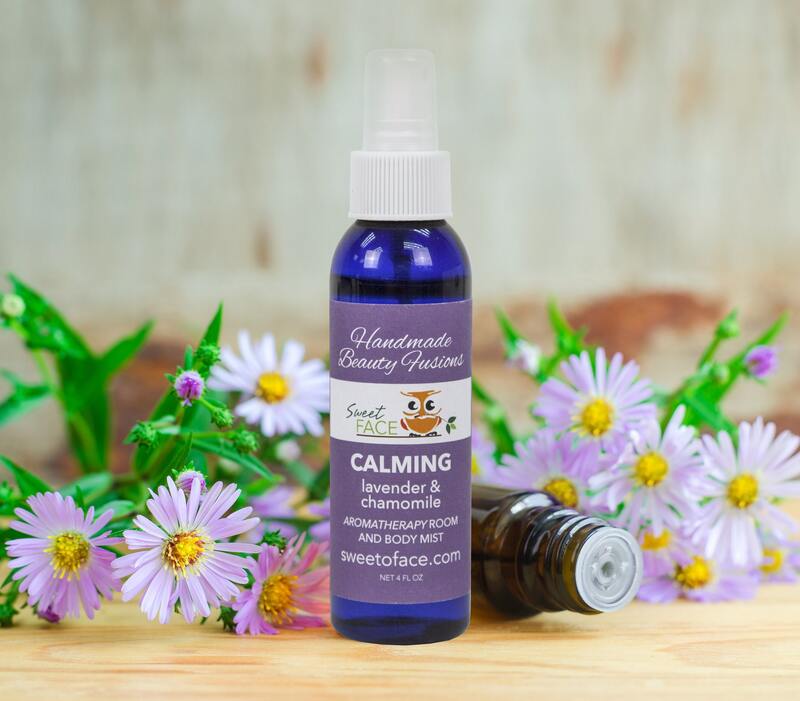 Chamomile Hydrosol is best known for its ability to calm and ease with a fruity floral aroma. Lavender oil is known for its skin healing and sedative properties.